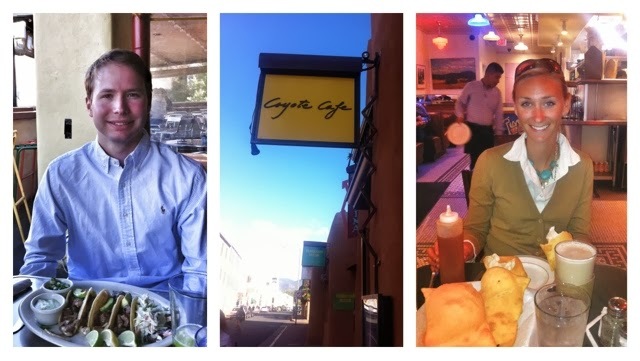 Recently, John and I made a day trip to Santa Fe... it was a super sunny but little bit chilly fall day - gorgeous! We originally went to Santa Fe to go to a resale cowboy boot shop. It was super fun checking out all of the boots (but shocking at how expensive they still were second-hand! We're keeping our eye on a pair or two...). After boot shopping, we had lunch at a fun rooftop restaurant called Coyote Cafe. Santa Fe feels like a totally different world than Albuquerque, and it was like we went on a mini Sunday afternoon vacation! :) And we ended the evening by eating sopapillas - with honey, of course! 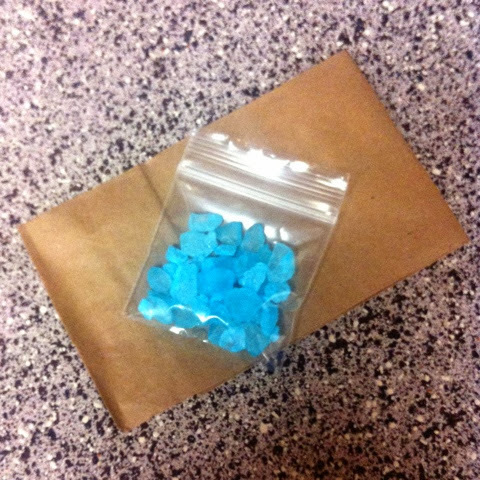 As many people know, the TV show Breaking Bad was filmed in Albuquerque, and people here loveee it. To find out what all of the fuss was about, we started to watch it on Netflix. 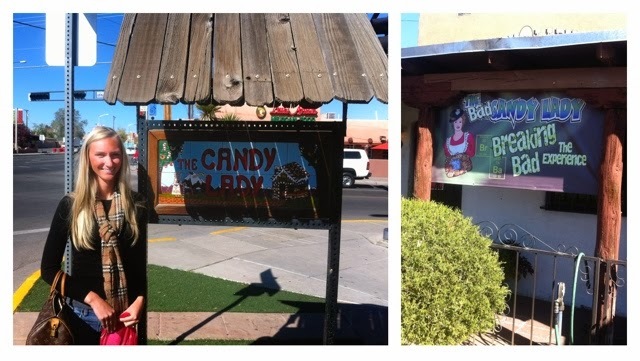 There are many Albuquerque references in the show, so to better enjoy it we have been visiting Breaking Bad sites around town (I know, we are weird). 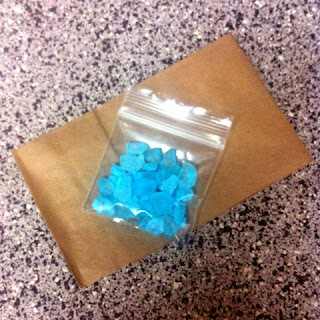 We ate at Twisters (known as Los Pollos Hermanos in the show), and bought some blue crystal meth candy from The Candy Lady (which was featured in the NY Times). It's clear we have issues, but we enjoy it.